I ordered my burger medium and despite being one of the few diners in the restaurant, my burger was cooked to almost medium well. Thanks to the magical La Frieda meat however, my burger was still nice and juicy – even though I do like it a little more pink. The caramelized onions also gave the burger a nice flavor. (I wish that was a topping choice at more places. 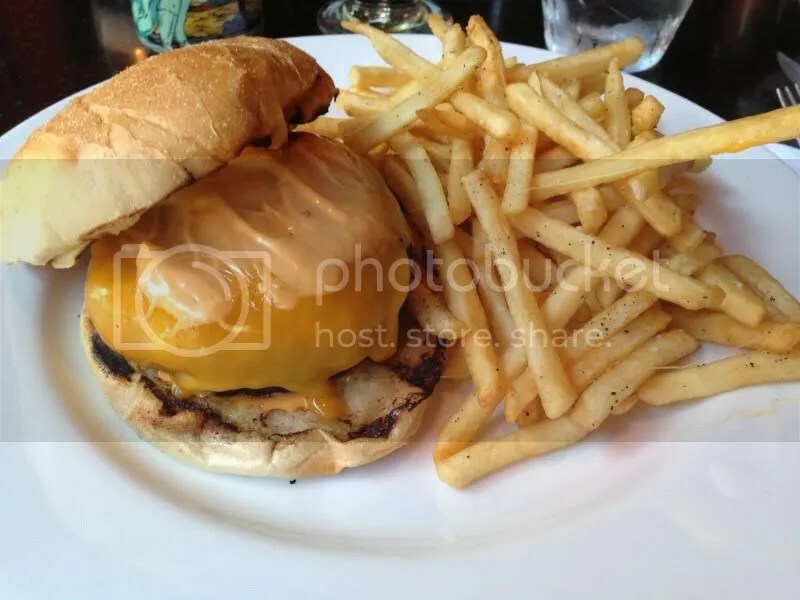 I’ve gotten them on a burger at London Grill in the past as well and it was equally delicious.) And the bun was nice and soft and slightly toasted. Paired with a Hell or High Watermelon, this burger was definitely a nice treat on a warm day. Bisou also has lots of other great menu items, plus jars of macerated fruits hanging out behind the bar to mix into some refreshing margaritas or mojitos. So don’t be scared to head out of the comfort zone of Center City! Manayunk’s just a train ride away. Posted in Bisou, buns, burger, burgers, La Frieda, Manayunk, onions. Bookmark the permalink.